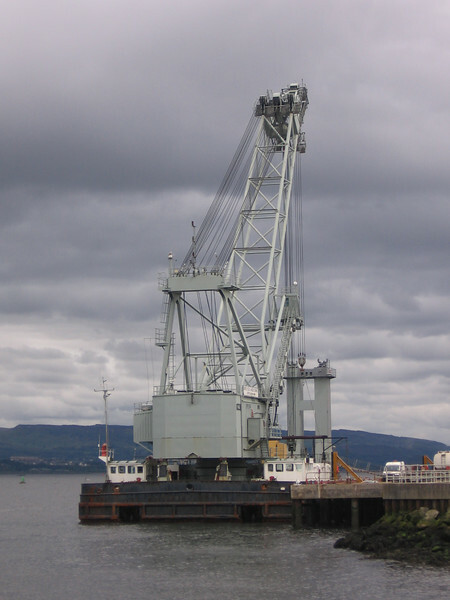 The largest sea-going crane on the UK West Coast, which helped put in place new linkspans across the Clyde. MERSEY MAMMOTH at Ferguson's, after fitting the new linkspans for Western Ferries. It has also put in the new Calmac linkspans at Port Askaig and Oban.